Posted on January 11, 2018 at 12:40 am. Natural stone is possible the most elegant of all the flooring options. Like many natural building materials it combines the imperfections of nature with the neat structure of a human made creation. 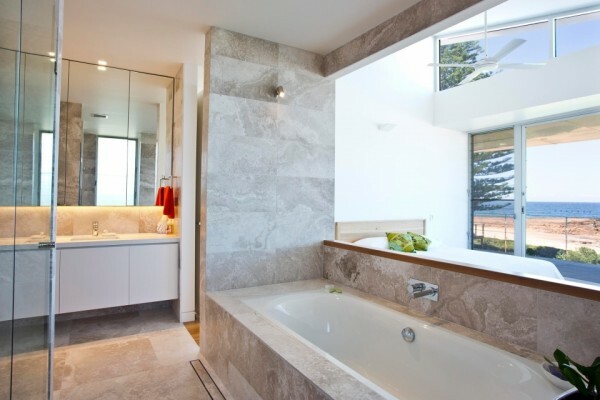 Natural stone is quite distinct and superior to synthetic stone products, something reflected in the fact that synthetic products often imitate the patterns of natural stone. The term ‘Natural stone’ refers to a number of different mineral substances – the Earth has various types of rock. These include marble, limestone, sandstone, travertine and granite. Each of these has different properties and a different aesthetic appeal. Sealing – To be water and stain resistant, sealing is required for any type of natural stone. Glue – To ensure successful installation, proper natural stone adhesive need to be used. Since difference of moisture sensitive rate depends the type of natural stone, adhesive should be checked and advised by manufacturer. Waterproof stone tiles, either natural impervious or with a waterproof seal, are ideal for a luxurious bathroom or any area prone to moisture. Other stone tiles work well for other rooms of the house. Natural stone tiles are cheaper than they were previously because of larger scale production and bulk buying. There’s no reason to compromise. Enjoy luxurious stone tiling in your home.